Two years ago, I adopted gorgeous black cats Norma Jeane and Arthur from Mayhew. 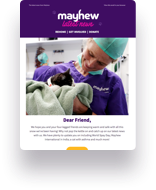 A young brother and sister duo, I fell in love the moment I clapped eyes on them – and they inspired me to volunteer in Mayhew’s cattery, which I’ve been doing for a year. Yet my marvellous monochromes had been at the Mayhew for months before I brought them home. And since I’ve been volunteering, I’ve helped look after more black cats than any other colour. Although these mini black panthers are just as affectionate, fun and beautiful as any other feline, black cats take 28% longer that other cats to be adopted. According to Mayhew figures, they spend an average 81 days waiting, whilst other colours spend an average 45 days. Why? Well, there’s the centuries-old superstition that black cats are unlucky, and associated with witches. But the reason Mayhew keep hearing is that black cats aren’t photogenic enough for social media. As a result, the likes of tabbies, torties and gingers get picked instead as their markings are seen as more eye-catching. But with their often golden eyes contrasting with their coal black faces to stunning effect, black cats were actually highly revered by the Ancient Egyptians, who worshiped black cat goddess Bastet. Tell us about how you adopted Biggie. My friend Stevie wanted a cat and I agreed to go with him to some rescue centres – and guess who got a cat? Not Stevie! I literally fell straight in love with Biggie. I have a dog Snoop, so before I took Biggie home, I took Snoop to visit him, as I wanted to make sure they’d get on – and they got on straight away. Snoop kisses Biggie when he thinks I’m not looking. Why did you choose a black cat in particular? I didn’t go looking for a colour or breed of cat – I just saw Biggie and completely fell in love. I think you just have that gut instinct – it was the same with Snoop. It’s almost like animals pick you. He thinks he’s a dog! He comes on walks with me and Snoop. He follows me everywhere, even to the pub, and he comes in too. I don’t have a choice – he just decides if Snoop’s going, he’s going. He even came to the polling station. I’d turned up with Snoop, and they said, “Oh sorry, no animals!”, so I apologised, picked him up, and said I’d be quick. I was voting, then suddenly Biggie prances in and everyone’s like, “Whose is that?” and I pretended I didn’t know, saying: “Erm, I dunno, whose cat is that? !” (embarrassed face and laughing) He’s such a kooky character. What advice would you give to anyone considering adopting a rescue? DO IT! But think carefully. Having a pet is such a big responsibility, so consider the cons as well as the pros. For example, people are often happy to look after your dog if you go away, but cats are very home-orientated. Not many people want to come and stay in your house to look after your cat. If it was just the pros, I’d have rescued a thousand cats and dogs. How do you juggle your busy lifestyle with having pets? I do go away a lot for work. For me, it’s about Biggie’s welfare and I know he wouldn’t enjoy being in a cattery, so I always have friends to cat sit when I do. Biggie has travelled with me too. He just sits on my lap on the train! What do you think about people saying black cats are harder to photograph for social media? If you’re worrying about how difficult an animal might be to photograph, you need to look at your life! Snoop and Biggie are both black, and I never in a million years thought, “How are they going to look on Instagram?” before I got them. Besides, they’re both very cute on Instagram! You just need to put the shadow filter up a bit to get all their details. What would say to anyone who’s decided to adopt and there’s lots of black cats at the rescue centre? You’re doing an amazing thing – I always say “adopt, don’t shop”. Just please – never, ever overlook black cats. They have so much love to give and deserve a good home just as much as any other cat.